The CyberpowerPC Zeus-M has the ideal blend of performance, portability and smart capabilities to get any user through the day. The Zeus-M is powered by a visibly smart Intel Core i5-3317U Ivy Bridge Dual Core Processor; energy-efficient HM77 chipset; 60GB SSD; and includes 8GB of system memory for ultra-fast response. The M2 model, for $100 more, includes a 120GB SSD rather than the rather limited (although interesting for Linux users) 60GB. There’s also 16GB of RAM on the M2. Both models have Smart Connect and Wi-Di, USB3.0 and as on all Ivy Bridge Ultrabooks, Intel’s Anti-Theft and Identity Protection Technology. The battery is removable. Shipping is expected in the first week of September for order put in today. You can find the two Zeus-M models on the CyberPowerPC website here. Almost pulled the trigger and then noticed the awful screen bundled with this. C’mon, how can you offer up to 16gb RAM and not any choice for a decent screen? I’d even be happy with 1600×900 on this 14″. How is this possible? An Ivybridge Core i5, 16GB RAM, & 120GB real SSD for $799??!? How much does this thing weigh? What’s the battery life like? It seems WAY too good to be true…. The specs link on their site is broken and support doesn’t know the weight, battery capacity, nor whether the battery is user replaceable. -I’ve got an inquiry into their sales dept currently. 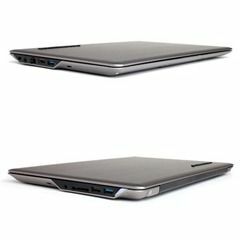 This Ultrabook is unique because you can actually custom configure quite a few things on it. They have a labor day sale between now and labor day where you can upgrade the generic ram to corsair vengeance ram for free (not a big deal) -you can also configure it with just a formatted drive for $619 or upgrade to a 160GB Intel SATA III drive for another $140 bucks. 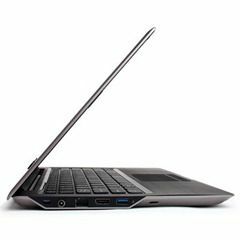 I LIKE options on my ultrabooks and this price is just ridiculously good for what you get. You can configure on the Sony Vaio T series too. Though not as extensive as on the CyberPower, you can change the CPU. CyberPower is definitely on my list for companies to watch. They are really pushing out those 1366×768 displays. Everyone uses them, you can count on one hand how many have higher res. Its funny that my recently purchased vizio is showing up the asus zenbook and samsung series 9 that I had to return (and in some cases return and return) due to issues. I don’t see WiDi option anywhere on the config page, or the press release. 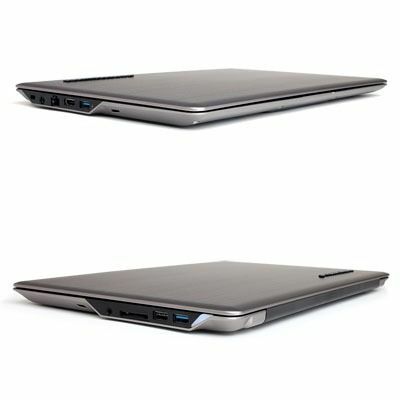 looks kinda chunky for an Ultrabook though! It has optimal heights because the LAN connector barely fits in. Too bad it has such a crappy screen. I would pay 200$ more for a good one.